An exclusive ASO education written by one of the original Sensor Tower employees. You Want More Downloads For Your Apps, Right? The fastest way to make more money with apps is to get more free downloads. We'd like to show you the best ways to do that. Any time Bluecloud releases a new course, we have a challenge: when you've been doing something for years, it can be hard to remember what it's like to be a beginner. That's why I'm so excited that Hugh Kimura agreed to team up with us. Hugh is really good at App Store Optimization (ASO). But even more impressive than Hugh's deep expertise is his KISSing ability: Keep It Simple, Stupid. He's got a knack for effectively teaching advanced concepts to beginners so that they can actually put them into practice. Hugh has created step-by-step video tutorials that show you his exact process for doubling free, organic downloads. But I think may be putting the cart before the horse. If you're fairly new to apps, then you might be wondering why ASO is important in the first place? And if you're an app veteran, you might be thinking, “What can this guy Hugh possibly teach me?" App Store Optimization is inextricably linked to an app's success, particularly if you're not prepared (or able) to spend $100K on ads. Invest significant time in keyword research and ASO, and you will see a significant difference in your downloads and revenues. I've been in this business awhile, and I've seen too many people make a dozen smart decisions and one deadly mistake. They hire a talented young developer at a rock-bottom rate. They find a diamond-in-the-rough designer to create killer designs and branding. They publish the app on time, on budget, and their in-app purchases and ad placements convert well. But then they simply don't get enough downloads to scale up their app businesses. Hugh has parlayed this behind-the-scenes knowledge and used it to build one of the most most-read ASO and app marketing blogs on the web. 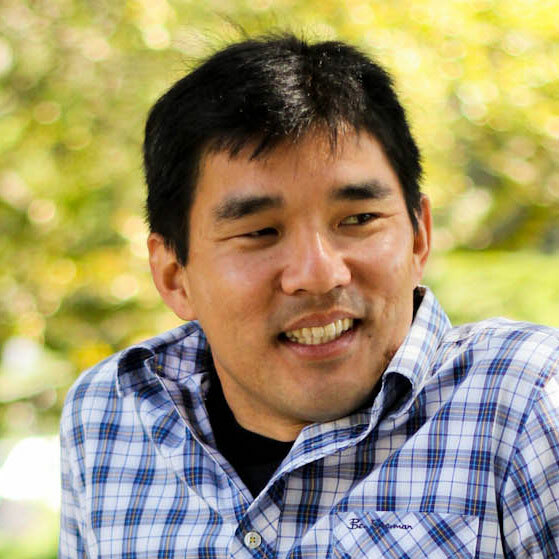 You might have read some of his articles on sites like Moz, KISSMetrics, and TechCrunch. Hugh has made it his job at Sensor Tower to stage cutting-edge ASO experiments and share the results with customers. As you can imagine, I was stoked when Hugh agreed to teach Bluecloud students. Okay, so how will Hugh's ASO course create a different outcome? You'll master the Last 2%. You can ensure that you have a different story to tell than the app developers who fail to grasp the gravity of the Last 2%. The ironic thing is that ASO is NOT DIFFICULT to learn. You're about to get access to the single most effective growth hacking strategy for your app business: getting more free downloads. Maybe if ASO were liking solving a Rubik's cube or memorizing pi out to 100 decimals, then more people would dig into it. But Hugh designed these tutorials to be short, straightforward, and actionable. ASO is important because it can generate a steady stream of free downloads. If you don't have a big budget to spend on ads, or “paid downloads," then getting free downloads is the lifeblood of your business. In other words, you can't afford to do the same things and expect different results. You MUST master ASO. Even if you already consider yourself an expert, you know you'll learn at least one new technique from Hugh. One new trick that might represent $10,000 in your pocket. Fact: anywhere from 50-63% of your app's downloads come directly from search. Let me translate: If you aren't aggressively adding to your expertise, then you're missing out on at least half of the potential downloads. What would happen in your app business if you doubled your daily downloads? That's the beauty of ASO. What are Bluecloud students saying? “I started a brand new company because of Bluecloud! I love it!" “I want to thank you for your resources and valuable information. They helped a newbie like me launch an app!" “Pure App Business Awesomeness. Carter Knows his stuff, period!" “Just wanted to say thank you for providing the services that you have. I have been able to find financial freedom and an infinitely better quality of life!" “Without a doubt, Bluecloud is the top site on the internet for profitable, quality source code and advice. I always refer my customers to Bluecloud Solutions." “Bluecloud is THE source for information about the app world and also has the best codes around." What would happen with your app business if you doubled your in-app purchase and ad revenues? What would happen in YOUR LIFE if you doubled or tripled your app business?! App Store Optimization (ASO) is one of the best sources of app downloads, especially if you don't have a lot of money to spend on ads. It can bring in a steady stream of downloads, even while you are sleeping. But if you don't know what you are doing, ASO can also be very frustrating. You can waste a lot of time on strategies that simply don't work. Luckily, ASO is not complicated. Anyone can learn how to do it. 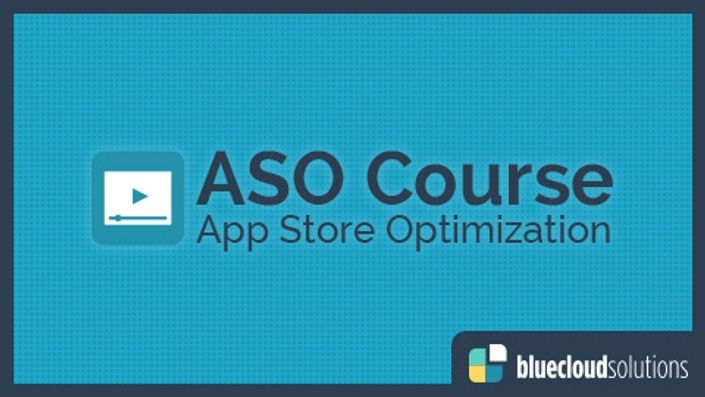 Even if you don't know anything about ASO, the ASO Mastery Course will guide you step-by-step through the entire process and teach you exactly what you need to know. There is a ton of ASO information out there on the internet and it can take a lot of time to go through all the blog posts and PDFs. This course will give you everything you need in one place, so you can start optimizing your app right now. Hi, I'm Hugh and you may know me from my work with Sensor Tower, one of the premier ASO platforms on the market today. During the two years that I worked at Sensor Tower, I got a behind the scenes look at App Store Optimization and how it can help some of the largest companies in the world and indie app developers alike. I want to share that information with you in this course, to help you make your app a success. Does ASO work for any app? Yes. But keep in mind that ASO can only be as successful as the product it helps to sell. If you have a high-quality app that people love to use (which we assume you do), then ASO will help you cast a bigger net. However, no amount of marketing can consistently produce thousands of downloads for a poorly designed app. ASO is a strategy that both savvy mega app publishers and indies use. Though ASO comes with no guarantees, it can level the playing field and help you compete without a gigantic ad budget. Aren’t the app stores now too crowded for ASO to be effective? The app stores are getting more crowded by the day. And that's why you've got to be at the top of your marketing game. Learning ASO will give you one of the core skills that can give you an edge over the competition. When Hugh worked at Sensor Tower, he was always surprised at how little many large brands knew about ASO. Some niches are still ripe with opportunity for savvy indie app developers! Isn’t ASO just keyword optimization? Though strong keyword choices are very important to your ASO strategy, other elements like your app icon can also make a huge impact on your app downloads. The course will tell you how much weight to give each element and how to test for optimal results. I don’t know anything about ASO. Is this course going to be over my head? No. This course will be perfect for you because the material starts from the assumption that you don't know anything about ASO. You'll find that we explain everything in easy-to-understand language. Once we've laid a strong foundation, we'll ease you into more advanced strategies. I tried keyword optimization before. It didn’t seem work. Will this course actually help me increase downloads? Most people's efforts at ASO fall short in one or more of these three areas: continuity, criteria prioritization, and keyword length. This course addresses each of these areas in depth. Once you go through the material and adjust your strategy, you should see a noticeable increase in downloads.